Reaching out to new members in their first two weeks builds a strong foundation for long-term membership. That’s why strategic new-member onboarding is a process worth investing in. The key to getting off on the right foot with a new member is to be a person, not just an organization, to your members. Help new members become engaged with your chamber by ensuring you reach out five times in their first 14 days. Mail the new member packet. Email instructions on how to access member benefits. Call with an event invitation. 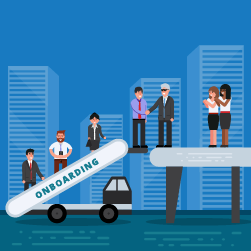 Proper new-member onboarding is critical to retention: Statistics show that it costs 7x more to obtain a new member than to retain a current one and that first-year members have the lowest renewal rates. Onboarding is more than simply sending out a welcome packet and adding them to your Chamber’s email list – it’s an ongoing process that relies on deliberate communication and engagement. Get the step-by-step New-Member Onboarding Plan.